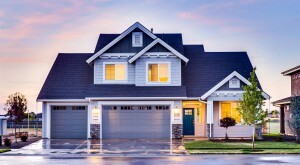 Residential Roofing – South Valley Roofing, Inc.
South Valley Roofing Inc has installed or repaired thousands of roofs in the bay area since 1991. We are here to assure that your roofing needs are met. Our work is performed to Manufacturer’s Specifications, from start to finish! This is important to you because it guarantees that if a problem ever arises from the roofing product of your choice, the manufacturer will stand behind it and compensate you accordingly. If the contractor does not install your roofing materials to the manufacturers’ specifications, this will void your warranty. To obtain a list of these specifications visit the manufacturer’s website, or ask and we will provide them. We are well versed in industry standards of practices and continuously demonstrate a high level of customer service and satisfaction. Our commitment to excellence ensures that you can and will receive the best in service and products. South Valley Roofing Inc is fully licensed with the State of California and we are fully insured for liability and workers’ compensation. This means that our customers are completely protected from liability for damages and injuries on the job and that you have recourse if something should go wrong with the installation. We will gladly provide you with copies of our licenses and insurance certificates. We apply for and supply all the necessary city or county permits for your roofing job, and take care of all the paperwork for you. The price of the roof includes the cost of your permit. After the job is completed, the City will inspect the roof and you will receive a copy of the signed off permit. We install most types of roofing and purchase our products from several quality suppliers and manufacturers. We will help you in selecting exactly the right materials for your roofing installation. Our re-roofing and new roof jobs are guaranteed for five years from defects in workmanship or leaks as a result of our workmanship. As always, we stand behind all our roofing projects. The job site is inspected each day for quality and safety. The final product is inspected and approved by the homeowner and South Valley Roofing’s owner before receiving a final bill. Roofing is a complicated procedure. It takes well trained and dedicated workmen to see that your roof is applied correctly. South Valley Roofing is a professional roofing company serving the greater Bay Area. When you hire us, you hire a team of trained professionals who care deeply about the quality of their work. Roof installation can be difficult, hazardous work. At South Valley Roofing, we believe in keeping our crew safe. We are safety conscious and seek to be as safe as possible. The result is an environment where workers are safe and can concentrate on the job at hand. We provide ongoing training to keep installers up to date with techniques and products that not only meet, but exceed local industry standards. We pay our crew well because we recognize that they do the work that matters most, and they represent South Valley Roofing every day at our customers’ homes.